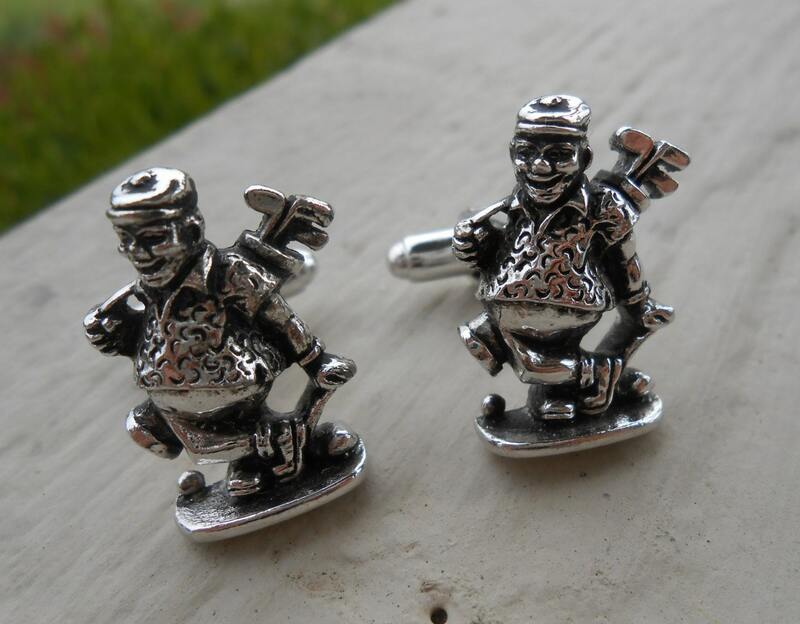 Vintage Golf Cufflinks. 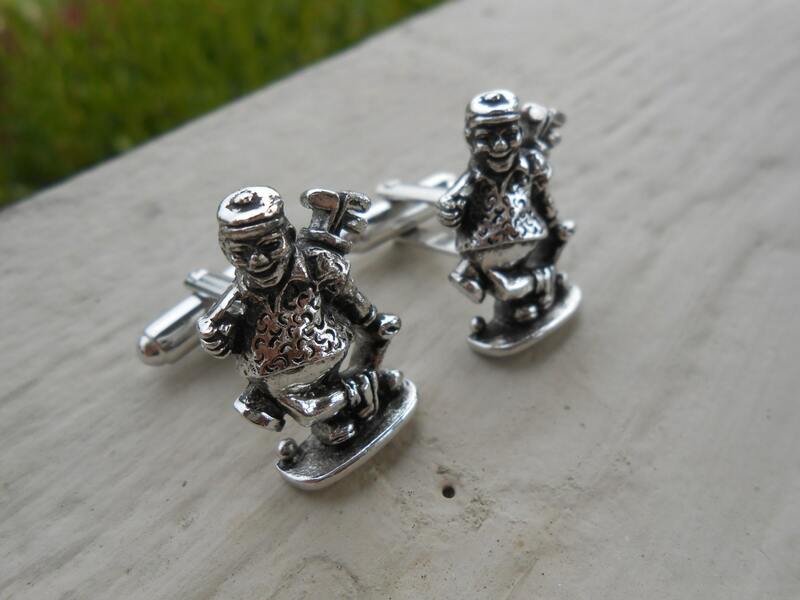 Wedding, Groom, Groomsmen, Father's Day Gift, Dad. 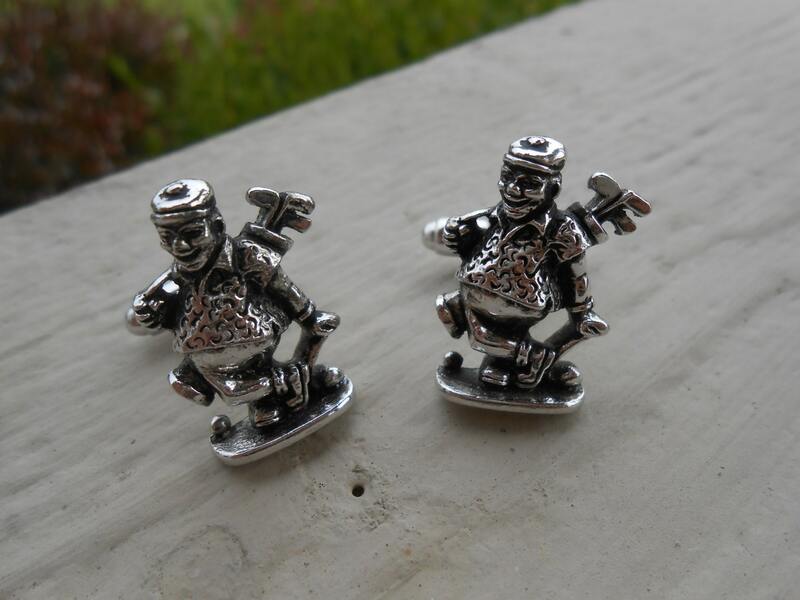 These vintage cufflinks would be great for the golfer! 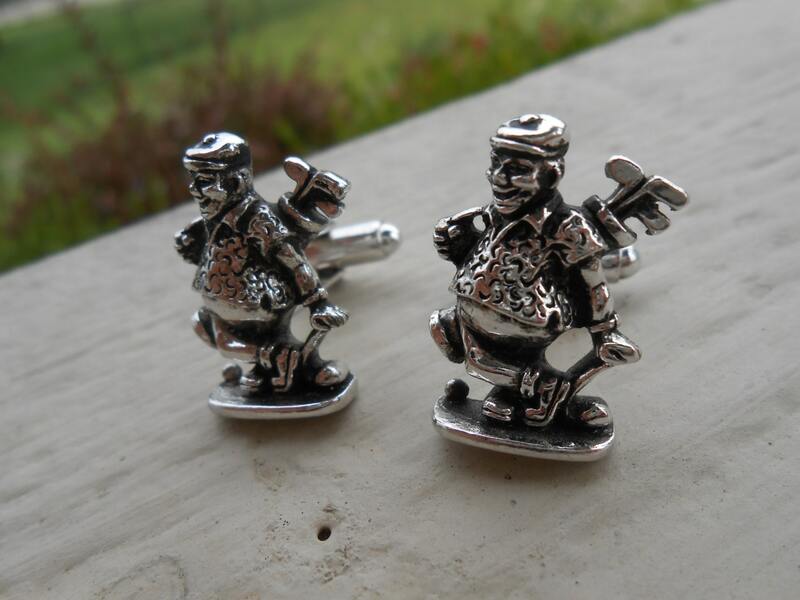 Each cufflink has a caricature of a golfer, with this golf bag slung over his shoulder. He is leaning on one club and has an old golfing hat. 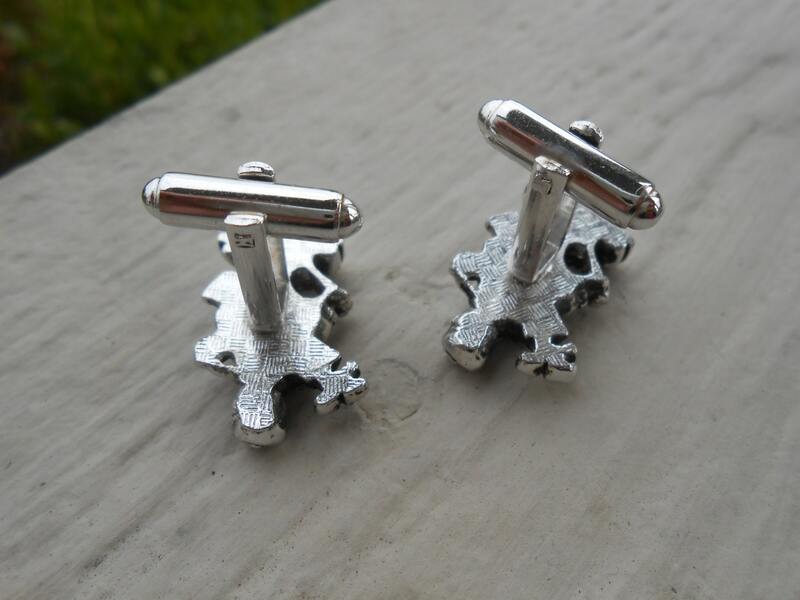 These are really unique and would make a great gift. They measure 1" x 5/8. They are in great condition.